Food preservation is aimed at extending the shelf life of foods. It originated with traditional methods such as curing, salting and sugaring, all of which are still important commercial methods. Major advances in preservation technology were the introduction of canning and freezing processes for extending the useable life of fruits and vegetables. These methods still form a substantial part of the food preservation business. In most cases, it is the growth of either spoilage or diseasecausing microorganisms that limits the length of time that a food can be kept, and most preservation techniques are primarily based on reducing or preventing this growth. However, there are other factors that limit shelf life, such as the action of naturally occurring enzymes within the food or natural chemical reactions between the constituents of the food. Both microbiological and chemical pathways have to be taken into consideration when preserving food materials. This second version of the book contains updated information on preservation methods but has also reorganised several chapters so that consistency between chapters is enhanced. Chapters 1 and 2 are largely unchanged because they provide background information that is still relevant and current. 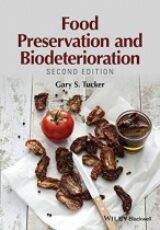 Chapter 1 describes the many types of microorganisms and enzymes responsible for biodeterioration of foods. 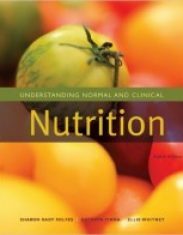 This chapter sets the scene for the individual chapters dedicated to methods of preserving foods. 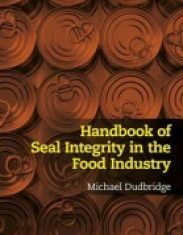 Chapter 2 describes the HACCP system that is universally used for ensuring the safety of commercial food products. This sets out the context of how a food company should approach HACCP as the means of ensuring food is manufactured with the greatest probability of being free from biological, chemical or physical hazards. Subsequent chapters deal with individual methods of food preservation. Chapter 3 on thermal processing has been rewritten to provide more focus on the thermal effects of sterilisation and pasteurisation and less on specific equipment. 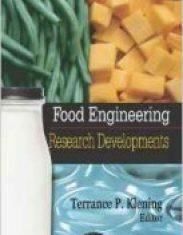 Chapter 4 on chilling has also been rewritten to provide a more general view on food chilling and to update it with recent industrial processes. Chapter 5 on freezing now has an update on the latest freezing techniques such as the Cells Alive System that originated in Japan. 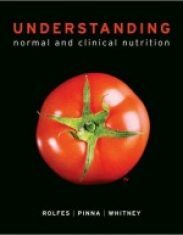 Chapter 6 on drying now contains descriptions of the different drying techniques used by the food industry. This chapter outlines mathematical approaches to define drying performance and efficiency. Chapter 7 is on modified atmosphere packaging and its effects on microorganisms. There is a new chapter on preservatives that includes sections on chemical and natural preservatives (Chapter 8). Material has been taken out from other chapters so that preservatives have a dedicated chapter. This was thought to be important because preservatives can be used as stand‐alone preservation techniques and do not always have to be used in combination. There is new material on natural methods that includes sourdough systems used in the bread sector. Chapter 9 is on hurdle techniques. This reflects the increasingly common practice of using preservation methods in combination in order to reduce the severity of any individual method. For example, thermal processing is often used as part of a combination process designed to present ‘hurdles’ to microbial growth. One of the traditional preservation hurdles is acidity, used with fruits, jams and preserves, where the low pH in fruits prevents Clostridium botulinum spores from germinating, and so the thermal process only needs to be effective on less heat‐resistant organisms. Advantages of hurdle technologies are in the milder treatments that can lead to the manufacture of better quality foods. Chapter 10 on novel commercial preservation methods has been updated. Recent commercial developments in technologies such as ohmic, microwave, irradiation and high pressure are described. These technologies may have benefits in allowing foods to be minimally processed and in doing so retain more of their inherent attributes such as texture, colour and nutritional content. Many of these techniques are used as hurdles in which thermal effects are responsible for microorganism destruction.